It all started when Alexander Fleming discarded some of his culture plates that had been contaminated with mold. But fortunately, he had a second look to those cultures afterwards. He was amazed to see that in the area around the mold, the growth of bacteria was inhibited. 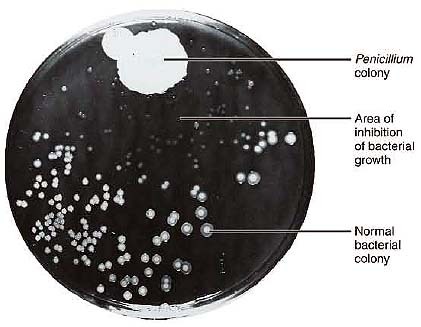 The mold was identified as Penicillium notatum, the active inhibitor named penicillin. Above is a photo taken by Alexander Fleming in 1928.